Angelini is a staple. It's a fancy Italian spot to go to in those times when you're in need of a fancy Italian spot. 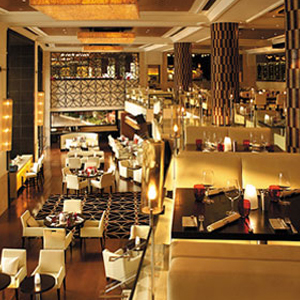 Being part of the Shangri-La Bangkok, the food standards are high. We recommend Bruschetta di Foie Gras, Filetto di Manzo Wagyu, and the Osso Bucco. The private rooms work great for high powered business deals, and couples will get a kick out of the outdoor area with sofas.